How to survive as a fresher? Being a new student isn’t easy. Perhaps first time away from home, about to meet strict professors and fellow students and getting lost in an unknown city… Does it sound familiar? But have you ever considered downloading an app to find out more about your university town and learn from other students’ experience? A few weeks ago, we stumbled upon a vibrant, highly interactive and fun mobile app created by our friend designer Annika who decided to create her own little mobile app using Aquafadas solutions. We were impressed with the quality of content and the final results. And as always we felt proud that our tools allowed her to make it all happen, as a result, no doubt supporting hundreds of students in their Moscow’s life discovery. Read our short interview with Annika Lyndgrun – a young designer and also one of our partners from Type School. Annika: There were two main reasons why I wanted to make a tablet app about Moscow’s design scene: First I wanted to present the young, innovative, modern face of this metropole and what kind of medium could support this message better than a mobile device? Secondly I’m a freelance designer that mostly deals with commercial projects. So I really wanted a free project where I can try something new and where I can deepen my skills in designing for tablets. Aquafadas: Sounds like a real challenge! What was the most tricky part of your mobile app project? Annika: I guess to create the content was the most challenging aspect. I’ve travelled two times to Moscow for interviews, I took thousands of pictures and I had a bunch of intense personal talks. After I’ve collected several stuff that might be interesting for design students I had to decide which of all the stories, information and pictures will fit to this app. In summary it was really an amount of work but it I’ve really enjoyed diving again into Moscow’s design world and to experiment and play with an iPad as an interactive medium. Aquafadas: And why did you decide to use Aquafadas tool? Annika: The InDesign plugin of Aquafadas feels very familiar to me. It’s really easy to work with even though I hardly have any knowledge in programming. No need to have that! It was really easy to create appealing interactive content that makes a lot of fun. Aquafadas: We love your work. But what did others say? Did you get any feedback? Annika: OJ! App is quite new but there was some lovely feedback from some students after I’ve posted the release on Facebook. Some of them were really surprised about Moscow and the app itself. Right now I’m working on spreading the app by contacting organizations for student exchange and some design networks to get more feedback. I guess to care for marketing is crucial to any tablet app. Annika: I guess my app is really made for a niche. It’s for design students, it’s written in German and the city is described from a very personal point of view (after I’ve left Moscow I’ve found out how deeply German I am …) So OJ! App isn’t made for a broad audience but it’s very pleasant to specific small target group. Aquafadas: Thanks for chatting to us and most importantly for using our tools! And good luck! Download the iOS app today and check this short demo too. 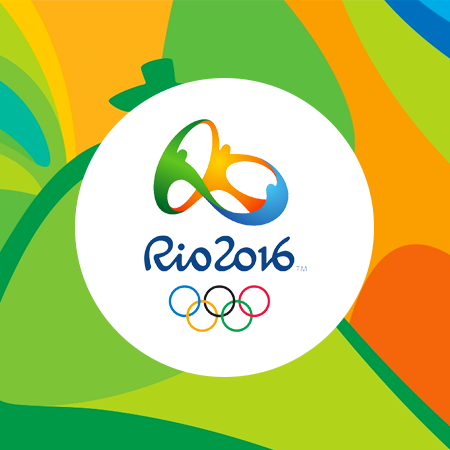 Rio 2016 – the summer of tech and digital record breaking?